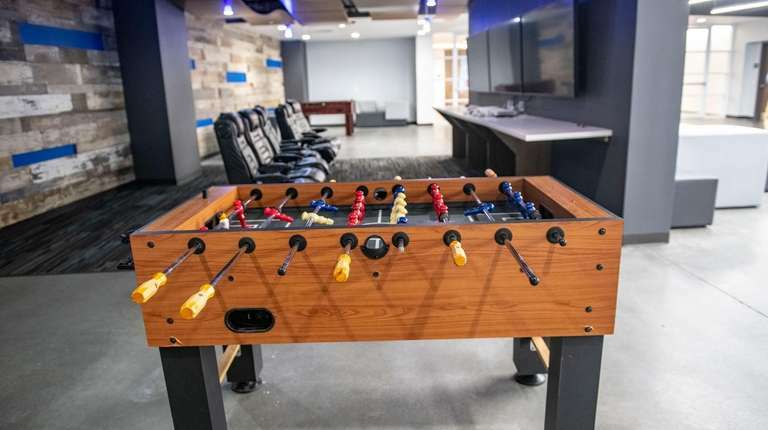 The North Hills software company created a "Silicon Valley-like headquarters" to appeal to software engineers, an executive said. The firm received one of the largest state incentive packages ever to keep a company on Long Island. 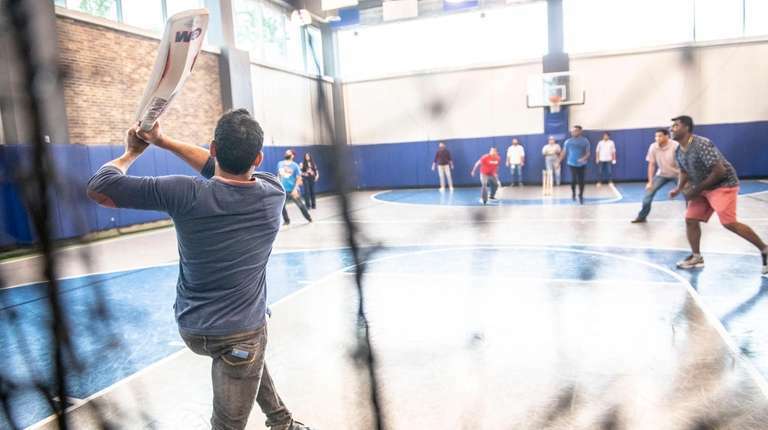 Dealertrack, the developer of software for auto dealers that got one of the largest state incentive packages ever to keep a company on Long Island, is using yoga, a gleaming new North Hills headquarters and even indoor cricket to lure tech talent. 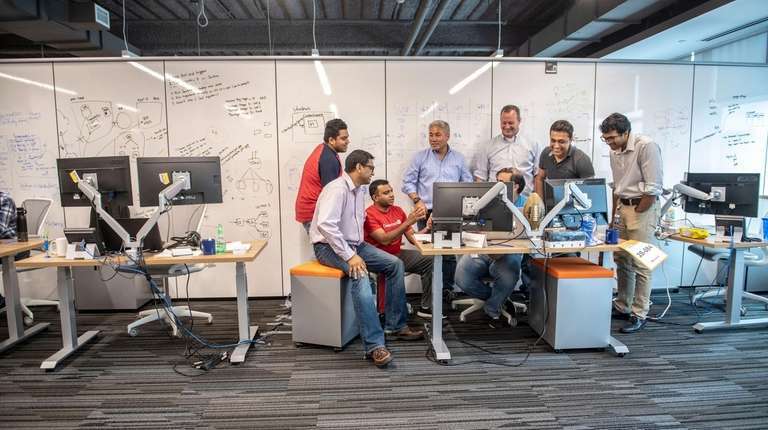 Dealertrack has more than 550 employees, almost half of them software engineers, at its 233,000-square-foot headquarters. 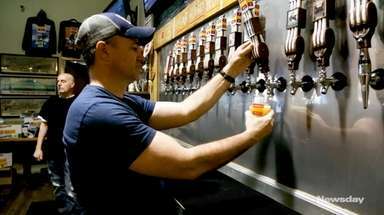 And the company is "actively recruiting another 50" employees, said Dean Tilsley, senior vice president of finance and operations. "The genesis of the building was to create a Silicon Valley-like headquarters," he said. About 30 of the 50 job openings are for software programmers. Adding to the head count also would help Dealertrack comply with one of the benchmarks required to receive a package of tax breaks and other incentives from New York State and Nassau County worth about $19 million. But attracting talented coders and other technology workers is not easy, business leaders say. "There's s shortage of tech talent around the country, including Long Island," said Peter Goldsmith, chairman of the Plainview-based Long Island Software & Technology Network, known as LISTnet. Still, some Long Island coders endure a two-hour commute to New York City when they could find a job closer to home, he said. "They don't know companies like Dealertrack are looking for people," Goldsmith said. Stanley M. Bergman, chairman and chief executive of Melville-based Henry Schein Inc., agreed tech workers are hard to find. In a June interview with Newsday, he said the maker of dental practice software and distributor of health care products is struggling to find "digital economy" workers at least in part because of restrictive government immigration policies. "We're having a hell of a hard time getting programmers," he said. "Talk to any of the high-tech companies and you'll hear the same story." 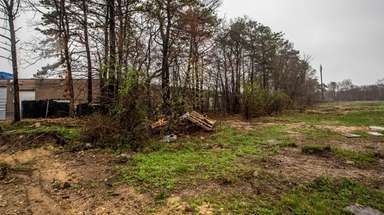 Dealertrack, a unit of Cox Automotive, part of Atlanta-based conglomerate Cox Enterprises Inc., got commitments in 2014 for the state and local tax breaks to remain in Nassau County and create new jobs after weighing options for relocating from its Lake Success headquarters. 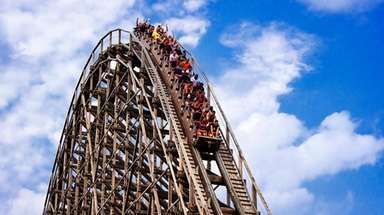 Incentives included up to $10.5 million in performance-based tax credits through the state's Excelsior Jobs Program, on a schedule that runs through 2023, and a grant of up to $1.5 million. Gov. Andrew M. Cuomo tweeted in April 2014 that the deal with the Nassau County Industrial Development Agency and Empire State Development would be "creating 350 new #NYJobs." 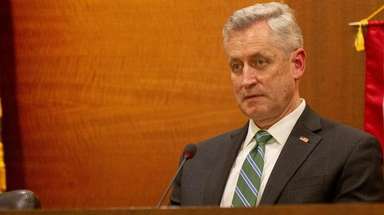 But an ESD official said last week the company has yet to file documents to claim the $1.5 million grant and last filed annual reports (and received credits) for the 10-year, $10.5 million Excelsior program in 2014. 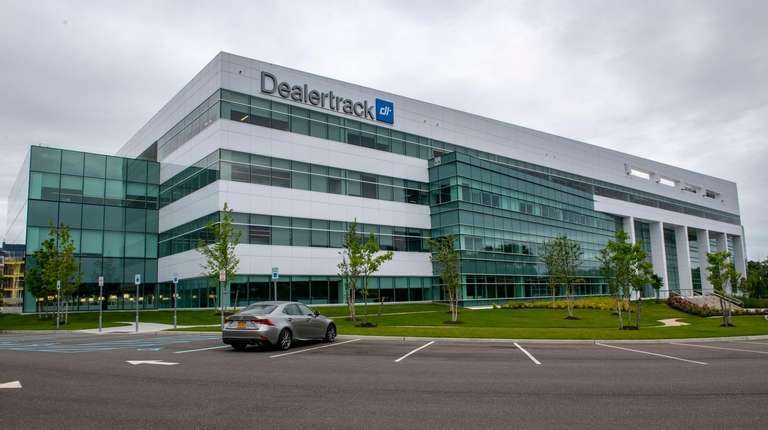 Dealertrack's tax break agreement from the Nassau County IDA requires it to reach a head count of 724 within five years of the opening of the headquarters, which had its ribbon cutting in June 2017. "We are working closely with IDA on all head count figures and compliance for 2016, 2017, as well as [the] current year and future years," Tilsley said in a statement. Cox announced it was acquiring publicly traded Dealertrack for $4 billion in June 2015. Founded in Garden City in 2000, Dealertrack develops software used by auto dealers for functions including processing loan applications, tracking inventory and registering titles. Other Cox Automotive brands include Manheim, Kelley Blue Book and Autotrader. Dealertrack, with revenue of more than $1 billion, offers workers a shuttle from the Long Island Rail Road, and is well aware that it is competing for talent against companies in New York City. 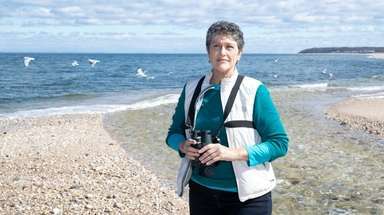 "We target individuals who would normally go into Manhattan," Tilsley said. "We try to maintain a space that companies in Manhattan can't [offer]. We provide a lot of other amenities. We do a lot of work with the community. It's a total package." That package includes a fourth-floor terrace, huge video walls at the entrance and in the auditorium, and a basketball court that can be repurposed for volleyball, yoga and — in an effort to appeal to tech-savvy recruits from the Indian subcontinent — an indoor version of cricket. A gym with weights, bicycles and rowing machines is also available. 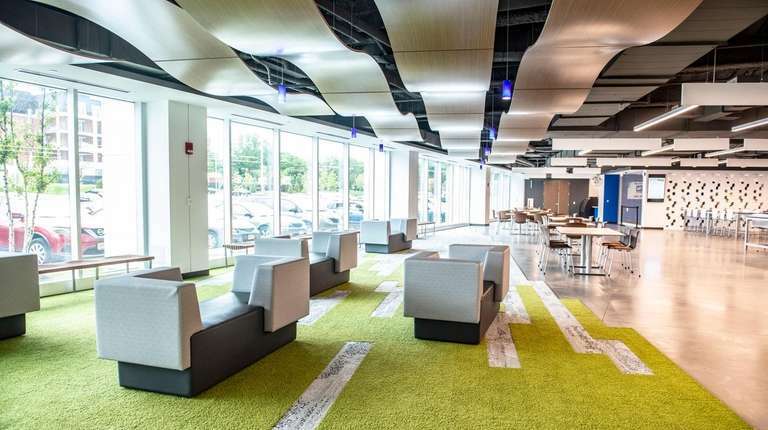 "This whole building reflects an investment in our people," said Tilsley, who added that the company also marks holidays from Cinco de Mayo to St. Patrick's Day and gives employees days off to do community service work. "That's important for us," he said. Finding workers for the digital economy is essential for an automotive industry in flux as manufacturers add self-driving technologies to vehicles and try ride-sharing business models as an alternative to traditional car ownership. "The automotive industry will go through more transformation in the next 20 years than it did in the previous 100," Tilsley said. "We're spending a lot of time on that. We're working closely with the original equipment manufacturers and dealers...We're trying to get ahead of where things are going."